Oh that is a bargain, I have about half of them, I might be tempted with this. 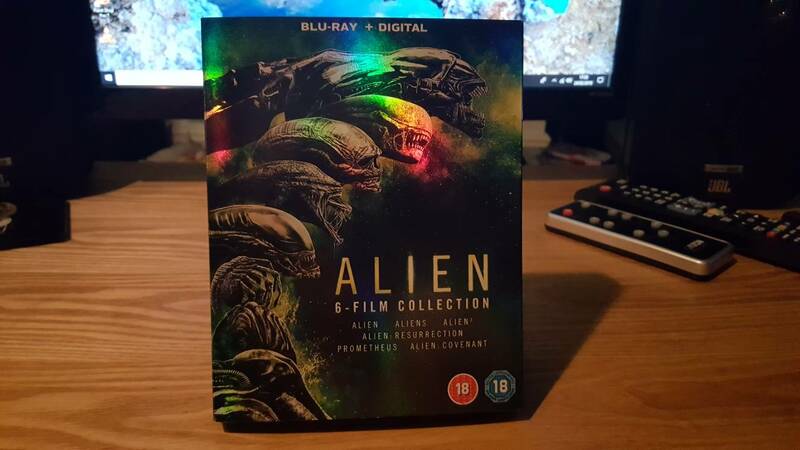 Theres a 4K remaster of the original Alien coming soon, as a fan of the (best imo) of the series look forward to it. Last edited by Gazjam; 09-03-2019 at 12:01. The immediate follow ups were just hu rah marines vs the aliens. Any sequel needed to up the game and they didnt as the reviews show....Prometheus wasnt really the answer either...he should have left it at the first one. "Yet again a crew sniffs after a mysterious ping and sticks their nose in a deadly larva pod. Are our astronauts learning? God no. And if the audience expected a different plot, we're not learning, either"
Last edited by Minstrel SE; 09-04-2019 at 11:52. After the original Alien I agree that there was a lot of milking the franchise going on. A few interesting plot ideas that were never developed properly but I don't think the whole series would stand up to close examination. It is a work of fiction, beautifully realised in the first film. Personally I liked Prometheus and Alien Covenant, the latter trying to capture some of the original's artistic quality but in the end all sequels/prequels are going to be compared to the original.